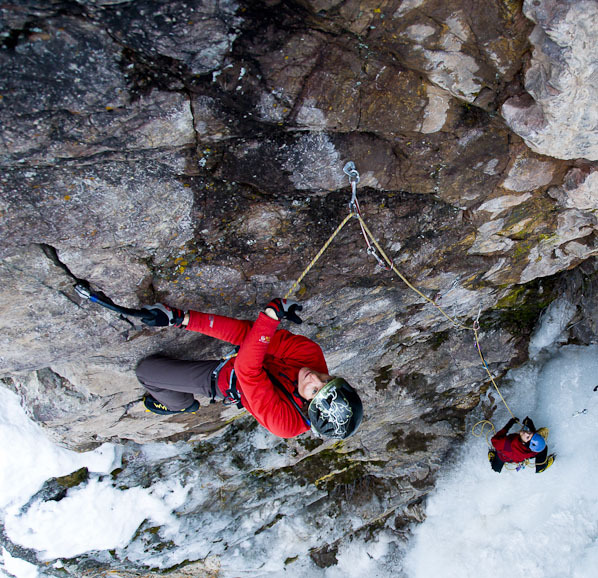 Mixed climbing is a climbing style that utilizes crampons and ice axes to ascend rock ice or snow. Over the past decade, mixed climbing has evolved into its own niche sport and a specific style of climbing has arisen from the trend. Learn to mix climb with Chicks. We are here to help you learn the subtle nuances and many skills it takes to be a modern sport mixed climber. This clinic will be taught on single pitch sport mixed climbing located outside of Ouray, Colorado. We will focus on tool placements, body positioning, footwork, and other skills you need to climb on the rock with your tools and crampons. Our guides provide a fun and encouraging atmosphere for you to explore your abilities and expand your comfort zone. After learning the basics, you can take the mixed skills into the larger mountains to climb more complex objectives. 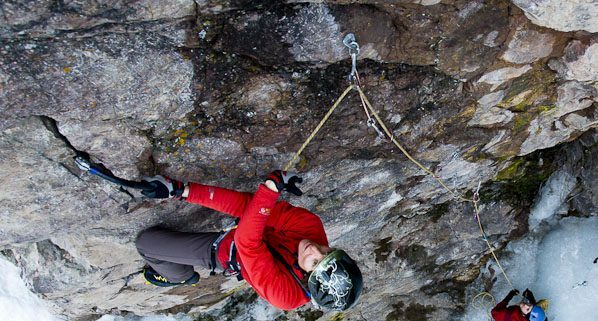 Don’t miss your opportunity to learn to mix climb with the skills and techniques needed to climb any mountain terrain with your tools and crampons. 2:30 pm: Arrive at the Ouray Victorian Inn and check in. 4:00 pm: Opening meeting at the Secret Garden. We will have an orientation meeting, eat dinner and hand out demo gear. 6:00 pm-9:00 pm: Dinner at the Secret Garden and closing meeting.